), and two of them got sucked up into the filter on the first day! So just picked up some new fish, some skinny little Kuhli Loaches (https://en.wikipedia.org/wiki/Kuhli_loach), and two of them got sucked up into the filter on the first day! 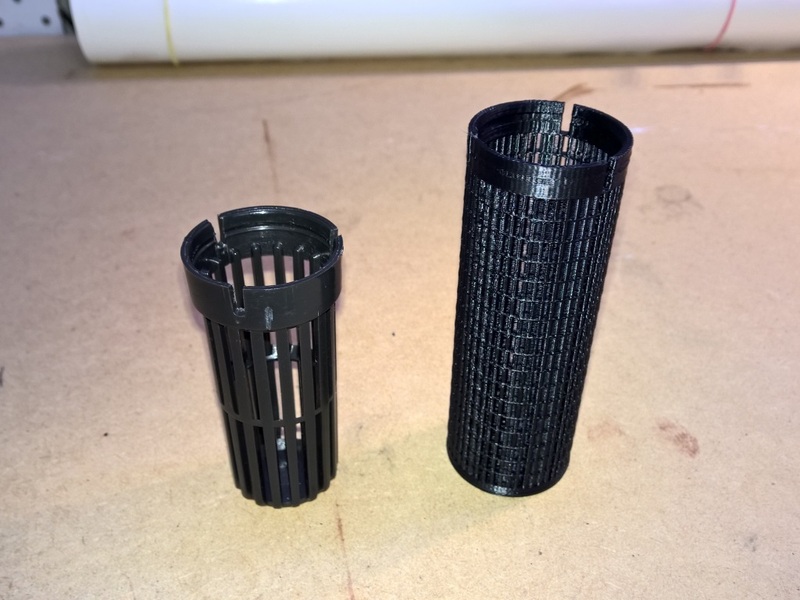 So, out goes the default Aqua One filter with its 2mm wide grill and in goes the new 3D printed filter with 1mm x 5mm tall openings. I’ve increased the size compared to the original to allow for better water flow and gave it a flat bottom and straight walls for ease of printing. As to the fish, amazingly they have survived the trip up into the filter and have been returned to the tank.